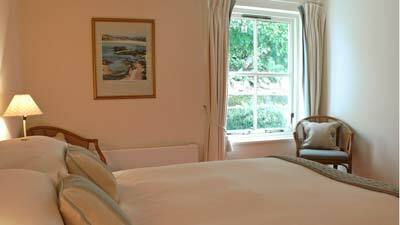 Our six Cliff Facing rooms look out to the rockery and the hillside of Appin Rocks. It's a lovely peaceful spot to take a few minutes with a morning cup of tea and to watch the garden birds feeding in the summer morning sunshine. With our super-comfortable Cliff Facing rooms, choose either a double room with kingsize bed or a twin room with two single beds. 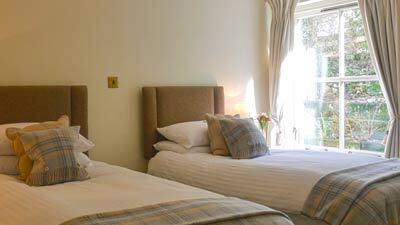 Some Cliff Facing rooms can also be booked as Family rooms. 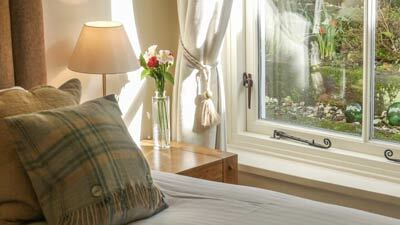 Your room rate includes breakfast served in the restaurant with spectacular views across the sea loch. There's a choice of cereals, porridge, chef's recipe fruit compote and Brodies teas and coffees. Highlights of the full cooked Scottish breakfast include delicious pork sausages and Isle of Lewis black pudding. There's scrambled eggs with local Inverawe smoked salmon and Inverawe smoked kippers. Save some space for freshly baked croissants and Chef's jam made with fruit from local Port Appin gardens. 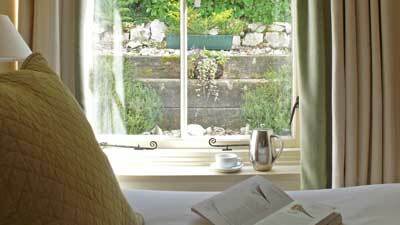 The cliff facing rooms are located at the rear of the hotel and look out onto the rockery. All these bedrooms have lovely contemporary bathrooms with a walk-in shower and the choice of a super-comfortable kingsized bed or twin beds. 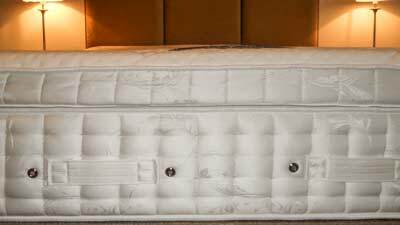 All of our rooms have new beds that have the most phenomenally deep and incredibly comfortable mattresses. The positive guest feedback has been brilliant so we are very confident that our visiting overnight guests will certainly have a really comfortable night’s sleep! 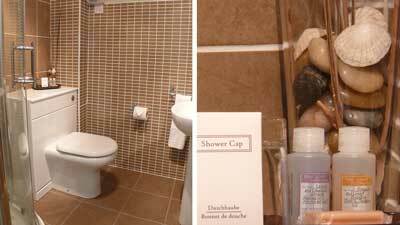 Our four Cliff Facing Rooms, which share the same specification, have slightly different layouts. Photographs are therefore representative of the Cliff Facing room type.